The notion that Democrats could emerge from the 2019 cycle with gubernatorial victories in Kentucky, Louisiana, and Mississippi this cycle would have been hard to imagine four years ago. Louisiana Governor John Bel Edwards continues to boast well above water approval ratings (+19 points according to the latest Morning Consult poll) as most top-tier GOP officeholders have shied away from a challenge and is currently favored to win reelection in November. 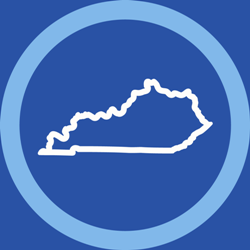 In Kentucky, Republican Governor Matt Bevin’s marks are less stellar (-17 points) prompting three big-name Democrats to vie for their party’s nod: Attorney General Andy Beshear, former Auditor Adam Edelen, and state House Minority Leader Rocky Adkins. In Mississippi, while long-serving Democratic Attorney General Jim Hood will face primary challengers, a victory in that state’s gubernatorial race would be perhaps be a bigger political earthquake in the Deep South than Doug Jones’ U.S. Senate victory in 2017. [A recent Smart Politics report noted that Democrats have won just four of 135 elections to statewide office in the Deep South since Barack Obama became president]. But Democratic gubernatorial victories in Kentucky and Mississippi would also be eye-opening considering the depths to which the party sunk in 2015. Four years ago, state Attorney General Jack Conway turned in the worst performance by a Kentucky Democratic gubernatorial nominee since the Civil War – with his 43.8 percent of the vote lower than every Democratic nominee over the previous 40 election cycles. [The party followed that up with an even more abysmal showing in 2016 with the 32.7 percent won by Hillary Clinton registering as the lowest level of support by a Democratic presidential nominee since before the Civil War]. Conway’s performance was particularly a bitter blow to state and national Democrats after he cruised to his party’s nomination with the biggest blowout in a contested gubernatorial primary in party history while Bevin spent lots of money winning the closest ever GOP primary for the office in the state. The last time a Kentucky Democrat fared worse in an election for governor than Conway was more than 150 years prior in 1863. In the midst of the Civil War, Democrats ran former governor (and former Whig) Charles Wickliffe against former Kentucky legislator, judge, and U.S. district attorney Thomas Bramlette – the nominee of the Unionists (a fusion of Republicans and War Democrats). Wickliffe won only 20.4 percent of the vote for the worst showing in party history (although there were allegations that Wickliffe supporters were intimidated at the polls). During the subsequent 40 elections from 1867 through 2011, Democratic gubernatorial nominees in the state averaged 54.7 percent of the vote, winning 32 of these races including four by pluralities. Conway fell nearly 10 points short of that benchmark. Conway won his two terms as state attorney general with 60.5 percent and 55.0 percent of the vote in 2007 and 2011 respectively. In between, he lost as the party’s U.S. Senate nominee against Rand Paul in 2010 with 44.2 percent. The only other Kentucky Democrat to fare worse than Conway during his 2015 gubernatorial bid was former one-term Congressman Richard French in 1840. French received the support of only 41.7 percent of Kentucky voters that cycle against former six-term Congressman and Kentucky House Speaker Robert Letcher. After his gubernatorial defeat, French would go on to serve two more interrupted terms in the U.S. House in the mid- to late 1840s. Overall, Democratic support for Conway’s ticket in 2015 ranks as the third lowest in party history across the 49 election cycles since the party first fielded a nominee in 1832. In Mississippi, 2015 gubernatorial nominee Robert Gray’s 32.5 percent easily marked the party’s worst performance across the 49 cycles in which Democrats have officially fielded a candidate for the office since 1833. Gray’s vote tally against Governor Phil Bryant was 6.5 points below the party’s previous worst showing set four years prior by Hattiesburg Mayor Johnny Dupree ( 39.0 percent). Dupree, for his part, fell below attorney John Eaves’ 42.1 percent in 2007 when Governor Haley Barbour cruised to a second term. That made Gray’s loss the third consecutive election in which the Democratic nominee for governor in Mississippi hit a new low water mark for the party. The 2015 election continued a more than quarter-century stretch in which the Democratic gubernatorial nominee in Mississippi has failed to reach 50 percent of the vote – now at seven consecutive cycles. [The last nominee to win a majority was Ray Maybus in 1987]. Democrats did manage to win one of these seven races when Lieutenant Governor Ronnie Musgrove edged Congressman Mike Parker by 1.1 points with 49.6 percent of the vote in 1999. While Gray goes down in the history books as owning the lowest support for a Democratic gubernatorial nominee in Mississippi history, it should be noted that the party technically did not field nominees during four cycles during the mid-19th Century. In 1851, a year after the Great Compromise was drafted in part by Mississippi U.S. Senator Henry Foote, Democratic U.S. Senator Jefferson Davis ran for governor as nominee of the new State Rights Party to replace secessionist and former Democratic Governor John Quitman who withdrew from the race that September. Foote, meanwhile, ran under the Union banner – a party formed by Whigs and some Democrats. Davis, backed by most Democrats, lost to Foote by 1.7 points. In 1865, Mississippi’s post-war non-partisan gubernatorial contest saw General Benjamin Humphreys (a former Democrat turned Whig) elected military governor against Judge Ephraim Fisher and Union Democrat William Patton. Humphreys was reelected three years later as a Democrat but was removed from office for not implementing President Andrew Johnson’s reconstruction plans in the state. In 1869, the Democratic Party did not have a formal nominee, but backed Judge Louis Dent who ran as a fusion candidate with Democrats and conservative Republicans organized as the National Union Republican Party. Dent lost to Republican James Alcorn with just 33.3 percent of the vote. After serving less than a year as governor, Alcorn resigned after his election to the U.S. Senate. In 1873, Democrats again chose not to formally nominate a candidate, but party leaders backed Alcorn against Senator (and former military Governor) Adelbert Ames. Alcorn lost with 41.9 percent of the vote. A Mason-Dixon poll found Hood with a two-point advantage over likely GOP gubernatorial nominee, Lieutenant Governor Tate Reeves. Next: O’Rourke, Abrams, and Gillum: Who Had the Most Impressive Loss of 2018? 2 Comments on "Can Democrats Reverse Course in Kentucky and Mississippi?" 1. “…by 1.1 points with 49.6 per cent of the vote in 1999” (not in and of itself) Per the 1890 state constitution, the gubernatorial winner must win a majority of the popular vote. Absent that, the winner must win a majority of the “state electoral votes” (based on the number of electoral votes apportioned to each county, equal to its number of members of the ‘most numerous branch’). Neither Musgrove nor Parker garnered a majority in EITHER (tied at 61 votes each in the latter). Thus, the ultra close contest was decided by the state House, which voted 86 – 36 in favour of the most recent Democrat to have served as governor (Mabus retains the distinction of being the most recent D to have won in the ‘regular’ manner). However, it is highly unlikely that AG Hood will be gifted such fallback option. 2. While it is true that Conway and Clinton fared poorly in their most recent contests as noted, the Rs have yet to demonstrate a degree of consistent dominance in non-federal elections, notably for governor/lieutenant governor. Should the contest become sufficiently localised, Bevin’s ticket may suffer the same fate as Ernie Fletcher (and his ‘new’ running mate Robbie Rudolph) in 2007, which also took place with a R in the WH. Great point regarding the MS legislature deciding the gubernatorial election if there is no majority winner. While Hood’s chances of winning a plurality in the general election might be almost even, his chances of either winning a majority outright or receiving a majority of the state House vote drop off substantially.